Heat oven to 425°f. Finely chop parsley and oregano (if fresh), along with shallots or green onions. Combine all chimichurri ingredients in a medium bowl. 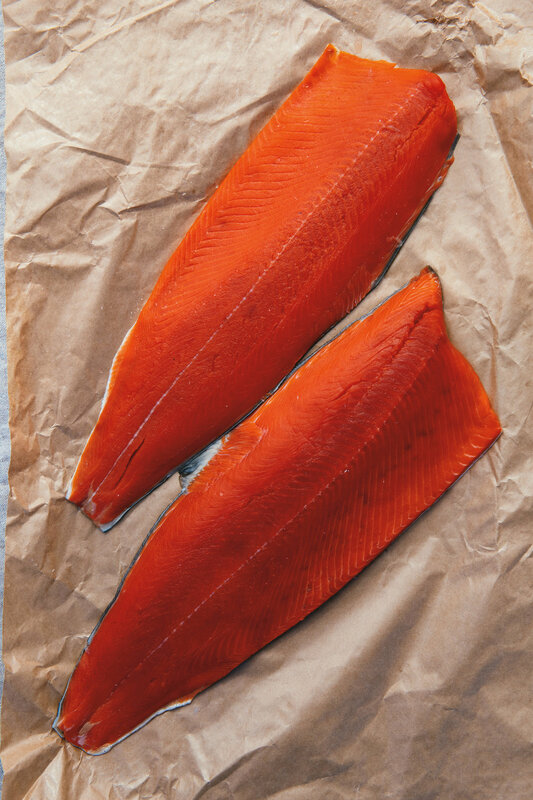 Place salmon fillets on a parchment-lined baking pan and place in oven for 15 to 20 minutes, or until oils in the salmon are rising to the top and turning white. (e fillet should feel tender to the touch when pressed with finger. If it is too firm it is overcooked. 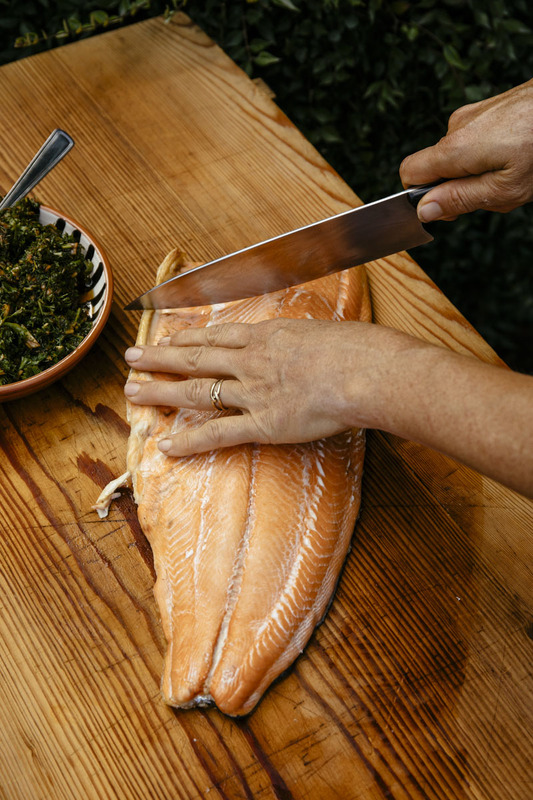 Transfer salmon to serving platter and spoon chimichurri generously onto fish. Can be served warm immediately, and it’s also delicious at room temperature the next day.